Editor’s Note: This year marks 50 years since the discovery of chiasmus in the Book of Mormon on August 16, 1967. To celebrate this 50th anniversary, through July and August Book of Mormon Central will publish one KnoWhy each week that discusses chiasmus and its significance and value to understanding the Bible, the Book of Mormon, and other ancient literature. Be sure to check out our other KnoWhys on chiasmus and the Chiasmus Resources website for more information. Many people have seen the distinctive and repeated use of chiasmus in the Book of Mormon as evidence that it was written by multiple ancient authors trained in the Hebrew literary tradition.6 Others, however, have wondered if Joseph Smith might have learned about chiasmus from biblical research available in his day. Pages 456–457, 467 of Horne's book on Biblical studies. These pages show what a person in 1829 could have known about Chiasmus, which wasn’t very much. Images via google books. 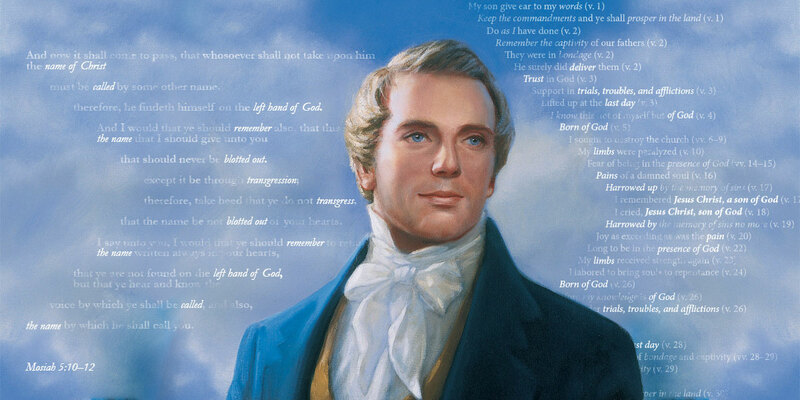 This lack of any hint of awareness on his part poses a problem for the suggestion that Joseph Smith used pre-1829 research on chiasmus to help him concoct the Book of Mormon. Is it really likely that any forger would spend the time to research this complex literary form, perfect his or her mastery of it, use it in dozens of instances in his fabricated scripture, and then never once mention its presence or lead anyone to its discovery? Such a scenario seems highly unlikely. John W. Welch, “The Discovery of Chiasmus in the Book of Mormon: Forty Years Later,” Journal of Book of Mormon Studies 16, no. 2 (2007): 74–87, 99. 1. John W. Welch, “Chiasmus in the Book of Mormon,” in Book of Mormon Authorship: New Light on Ancient Origins, ed. Noel B. Reynolds (Provo, UT: Religious Studies Center, Brigham Young University, 1982; reprinted by FARMS, 1996), 34. 2. See John W. Welch, “The Discovery of Chiasmus in the Book of Mormon: Forty Years Later,” Journal of Book of Mormon Studies 16, no. 2 (2007): 74–87, 99. 3. See Book of Mormon Central, “Why is the Presence of Chiasmus in the Book of Mormon Significant? (Mosiah 5:10–12),” KnoWhy 166 (August 16, 2016). 4. Donald W. Parry, Poetic Parallelisms in the Book of Mormon: The Complete Text Reformatted (Provo, UT: Neal A. Maxwell Institute for Religious Scholarship, 2007), 565. See also “Chiasmus Index, Book of Mormon,” at Chiasmus Resources, online at chiasmusresources.org. 5. See John W. Welch, “Criteria for Identifying and Evaluating the Presence of Chiasmus,” Journal of Book of Mormon Studies 4, no. 2 (1995): 1–14; Book of Mormon Central, “Why Was Alma Converted? (Alma 36:21),” KnoWhy 144 (July 15, 2016); John W. Welch, “A Masterpiece: Alma 36,” in Rediscovering the Book of Mormon: Insights You May Have Missed Before, ed. John L. Sorenson and Melvin J. Thorne (Salt Lake City and Provo, UT: Deseret Book and FARMS, 1991), 114–131; John W. Welch, “Chiasmus in Alma 36,” FARMS Preliminary Report (1989). 6. The presence of Chiasmus in the Book of Mormon has also been seen as evidence of its claimed ancient American setting. See Allen J. Christenson, “Chiasmus in Mesoamerican Texts,” in Reexploring the Book of Mormon: A Decade of New Research, ed. John W. Welch (Salt Lake City and Provo, UT: Deseret Book and FARMS, 1992), 233–235. See also, “Mesoamerican Architecture and Texts” at Chiasmus Resources, online at chiasmusresources.org. For a general treatment of chiasmus in the Book of Mormon as evidence, see John W. Welch, “What Does Chiasmus in the Book of Mormon Prove?” in Book of Mormon Authorship Revisited: The Evidence for Ancient Origins (Provo, UT: FARMS, 1997), 199–224. 7. See John W. Welch, “How Much Was Known about Chiasmus in 1829 When the Book of Mormon Was Translated?” FARMS Review 15, no. 1 (2003): 53. 8. Welch, “How Much Was Known about Chiasmus in 1829?” 54. Bengel was a German scholar in Wüttemberg; his main books were written in Latin. 9. Robert Lowth, Lectures on the Sacred Poetry of the Hebrews, trans. G. Gregory (London, UK: Johnson, 1787), as cited in Welch, “How Much Was Known about Chiasmus in 1829?” 53. 10. Welch, “How Much Was Known about Chiasmus in 1829?” 53. Lowth’s main work on parallelism in general is mentioned in Welch’s first publication about chiasmus, in John W. Welch, “Chiasmus in the Book of Mormon,” BYU Studies 10, no. 1 (1969): 72 n. 2. 12. See John Jebb, Sacred Literature (London, UK: Cadell and Davies, 1820), 335–362. Epanodos refers to a form of parallelism very similar to chiasmus and is often used instead of chiasmus in this early literature. 13. See Thomas Boys, Tactica Sacra (London, UK: Seely, 1824) and Key to the Book of Psalms,(London, UK: Seely, 1825). 14. See Welch, “How Much Was Known about Chiasmus in 1829?” 61–63. 16. In 1825, Horne published the 4th edition of his three-volume Introduction to the Critical Study and Knowledge of the Holy Scriptures (Philadelphia, PA: Littell, 1825). It seems to have been the first American publication to mention Jebb’s work on chiasmus. A 6th edition of this biblical encyclopedia was published in 1828, with changes mostly to its typesetting. In 1827, Horne published the 2nd edition of a condensed version of his encyclopedia, called Compendious Introduction to the Study of the Bible (New York, NW: Arthur), and in 1829 he published a 3rd edition. These works contained an even briefer mention of Jebb’s chiasmus-related writings (p. 191 in the 1827 edition and p. 144 in the 1829 edition). These encyclopedic volumes never discussed Boys’ research on chiasmus in the Psalms and in the New Testament, and it appears that only Horne’s 1825 edition was published in America. This information corrects and expands what was known in the 1960s and 1970s about these obscure sources. See Welch, “How Much Was Known about Chiasmus in 1829?” 63–68. 18. See Welch, “How Much Was Known about Chiasmus in 1829?” 78. 20. Examining this book in the Community of Christ Library in Independence, Missouri, Welch found “no evidence on any page that this copy of this book was ever read by anyone. The book is completely clean: there are no notes, no marginalia, no smudge marks, and no creased pages. It would appear that Joseph did not study this kind of reference material.” Welch, “How Much Was Known about Chiasmus in 1829?” 78. 23. See Welch, “Chiasmus in the Book of Mormon,” 43–51; Book of Mormon Central, “Why Did Nephi Use Chiasmus to Testify of Christ? (2 Nephi 11:3),” KnoWhy 271 (February 6, 2016); Dennis Newton, “Nephi’s Use of Inverted Parallels,” Interpreter: A Journal of Mormon Scripture 22 (2016): 79–106; David E. Sloan, “Nephi’s Convincing of Christ through Chiasmus: Plain and Precious Persuading from a Prophet of God,” Journal of Book of Mormon Studies, 6, no. 2 (1997) 67–98; Book of Mormon Central, “Why Did King Benjamin Use Poetic Parallels So Extensively? (Mosiah 5:11),” KnoWhy 83 (April 21, 2016); John W. Welch, “Parallelism and Chiasmus in Benjamin’s Speech,” in King Benjamin’s Speech: “That Ye May Learn Wisdom”, ed. John W. Welch and Stephen D. Ricks (Provo, UT: FARMS, 1998), 315–410; Book of Mormon Central, “Why Was Alma Converted? (Alma 36:21),” KnoWhy 144 (July 15, 2016); Welch, “A Masterpiece: Alma 36,” 114–131; Book of Mormon Central, “Why Was Chiasmus Used in Nephite Record Keeping? (Helaman 6:10),” KnoWhy 177 (August 3, 2016); Book of Mormon Central, “Why and How Did Alma Explain the Meaning of the Word ‘Restoration’? (Alma 41:1),” KnoWhy 149 (July 22, 2016). 24. See Melvin J. Thorne, “Complexity, Consistency, Ignorance, and Probabilities,” in Book of Mormon Authorship Revisited, 179–193; Book of Mormon Central, “Why Did the Book of Mormon Come Forth as a Miracle? (2 Nephi 27:23),” KnoWhy 273 (February 10, 2017). 27. See Neal A. Maxwell, “‘By the Gift and Power of God’,” in Echoes and Evidences of the Book of Mormon, ed. Donald W. Parry, Daniel C. Peterson, and John W. Welch (Provo, UT: FARMS, 2002), 9. 28. For a treatment of Chiasmus in Mesoamerica, see Book of Mormon Cenrtal, “Was Chiasmus Known to Ancient American Writers? (Mosiah 3:1–3),” KnoWhy 346 (July 31, 2017). See also Allen J. Christenson, “Chiasmus in Mesoamerica,” in Reexploring the Book of Mormon, 233–235; Allen J. Christenson, “Chiasmus in Mayan Texts,” Ensign, October 1988, online at lds.org; Robert F. Smith, “Assessing the Broad Impact of Jack Welch’s Discovery of Chiasmus in the Book of Mormon,” Journal of Book of Mormon Studies 16, no. 2 (2007): 69–71; Allen J. Christenson, “The Use of Chiasmus by the Ancient K’iche’ Maya,” in Parallel Worlds: Genre, Discourse, and Poetics in Contemporary, Colonial, and Classic Maya Literature, ed. Kerry M. Hull and Michael D. Carrasco (Boulder, CO: University Press of Colorado, 2012), 311–336.